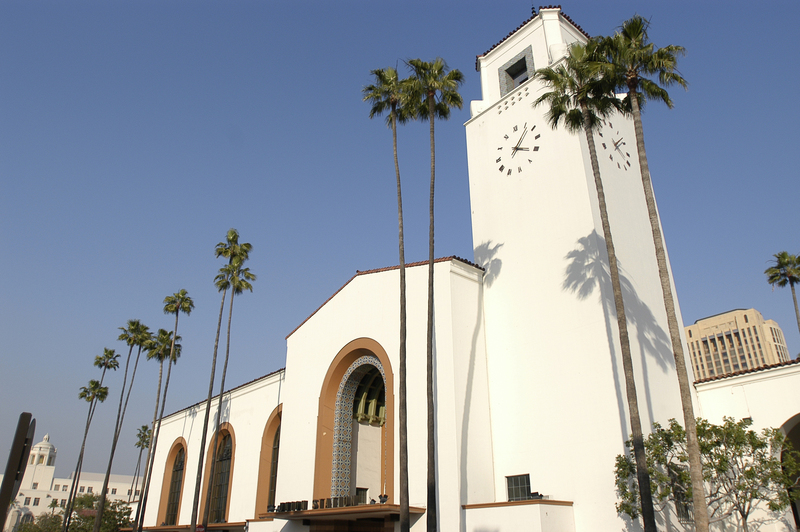 The Los Angeles County Metropolitan Transportation Authority (Metro) today announced that it has successfully negotiated the purchase of Los Angeles Union Station from Catellus Operating Limited Partnership for $75 million, a move that sets the stage for future expansion of the “last of the great railway stations” built in North America. The direct purchase includes 38 acres of land and 5.9 million square-feet of entitlements that provide Metro the right to build on the property and draw lease revenues from both transit operators and businesses. Currently, the station is home to Amtrak, Metrolink, Metro Red and Purple Lines, Metro Gold Line, L.A. FlyAway and numerous Metro and municipal bus lines serving Los Angeles County and beyond. The station is also home to several new retail businesses. The purchase enables Metro to better meet the station’s current and future transportation needs. Union Station has experienced a boom in the number of transit patrons and others who travel through it on a daily basis. Use of the station is expected to experience strong growth through a combination of factors, including planned construction of the Regional Connector transit project through downtown, the future Metro Silver Line express bus station on Patsaouras Transit Plaza, a growing retail presence and future high speed rail plans for Los Angeles. The iconic Union Station is a nationally registered historic landmark. Metro’s negotiations with the seller began in November 2010. In the seller’s interest to conduct an expedited sale, Metro will purchase the station independently. The California High Speed Rail Authority (CHSRA) has indicated an interest in partial ownership of the station as it continues efforts to bring high speed rail service to the region. The income generated from the deal supports a substantial portion of the station’s purchase price. 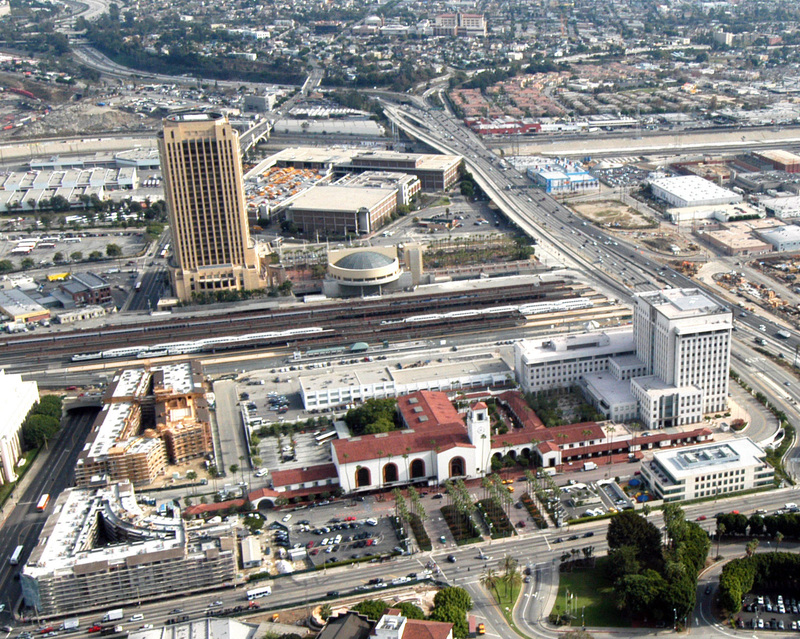 Metro already owns Union Station’s East Portal, the adjacent Metro Headquarters building and Patsaouras Transit Plaza. Not included in the purchase agreement are Axis Union Station Apartments, the Metropolitan Water District Headquarters building or the office building in front Union Station on Alameda Street. Following an expected April 2011 closing, Metro will review the station premises and plan for future transportation and development needs. Metro will evaluate, among others, potential efforts to add and improve pedestrian flow through Union Station, parking, and bus capacity issues on Patsarouas Transit Plaza. Due to the size of the property and accompanying entitlements, the purchase also presents new opportunities for joint development on the station’s 38 acres, which increases the potential for Metro to generate additional revenues on the developed property. Built in 1939, Union Station is a nationally registered historic landmark. For additional information about Metro, visit metro.net. I hope Metro will be able to convince Greyhound to relocate their current bombed out location on 7th/Alameda to Union Station, which should be a no brainer. Imagine yourself as a traveler: would you rather arrive in LA at 7th/Alameda where you are lost and stranded, or arrive at the hub of the entire LA mass transit system where you can get almost anywhere easily. Also, hopefully Megabus will return to California in the future. I was sad when they left. I think this is great news. And yes, it would be great if Greyhound had its bus station on or near this transit hub. That’s odd, I thought I saw a Greyhound bus at Union Station? Anyways, if Metro will continue to support the new retail, I’d be happy. I visit Famima!! just about every time I visit. Yes, get Greyhound in there. And hey, finish that dang Run-Through Tracks project already!!!! I know the High Speed Rail is an issue, but that might be going underground, so the Run Through Tracks is also a no-brainer, which will shave at least 10 minutes of the time of the Pacific Surfliners. Does the purchase include the tracks? If so, up to what point? If not, who owns the tracks at and leading to Union Station: UP, BNSF, Catellus, or someone else? @Antonio Yes, Metrolink and Amtrak will still be there. Several of the train tracks you see at the boarding platforms are owned by Metrolink. The thing I’m curious about with this purchase is what will happen to the Traveler’s Aid volunteers who assist at the information booth at the Alameda Entrance? Will Metro employees take over to assist commuters? Second, will the once used ticket booths, located to the side of the information booth be reopened to serve the public, or will they continue to serve as space for private/public events? Wow, 75 million for 38 acres and 5.9 million feet of development rights in Downtown LA sounds like a steal. 5.9 million square feet is worth almost 1 billion (well, once it is built), if I understand the prices correctly. Hopefully Metro will be able to find developers for new office buildings on the land (to make back the purchase price), while preserving enough space for transit and intercity rail expansion. Greyhound at or near Union Station is a no brainier unless the downtown street car or the Regional Connector line can transport Greyhound passengers to Union Station. Also, need more food stands in Union Station. Why do none of the stories on this sale report the prior sale history? Didn’t Catellus buy it in the first place from a public entity not that long ago? Who was that seller, and what was the sale price then? I agree with others; Union Station should become a transit hub for all transit companies, including Greyhound. It makes just perfect sense to have all forms of transit to be centered in one particular area. In that mind however, there really needs to be another, say a “West LA Union Station” near LAX. Not only is the West LA practically a empty void, Chicago is planning to bring Amtrak directly to O’Hare to make air-to-rail transit possible like it has proven to be a success in places like Frankfurt and Paris Charles d’Gaulle. Wouldn’t it be nice to have a high speed rail also passing by LAX so we can get rid of those short-haul commuter flights to San Jose and San Diego? Catellus is the descendent company of the Southern Pacific and Santa Fe Railroads’ real-estate arm(s). It bought out Union Pacific’s share of Union Station many years ago. A little Wikipedia search will answer your questions. $75 million! There’s $75 million that WILL NOT BE GOING FOR MTA BUS IMPROVEMENTS! And bus lines and service are being cut? Maybe MTA is all about buying things that DO NOT MOVE! At the rate they are going, the MTA bus passengers will NOT BE MOVING EITHER! I couldn’t disagree more with John McCready. This isn’t $75 million towards nothing; this is $75 million towards ensuring that Los Angeles will have better control of a historic, beautiful and increasingly crowded transit hub. Union Station is already an extremely important part of Los Angeles transit, and it will be even more important when the Regional Connector and the bullet train are both built. The station has been enhanced even further with the new retail which has been added, and there are opportunities for more improvements. Improvement in transportation system in Greater Los Angeles county is very essenetial to all angelenos and visitors. Union Station is a historical landmark. I just hope that metro board of directors start riding more frequently public transit, so they can have a good picture of what los angelenos need. more frequent bus services, a 24-hour rail services. more parking lots for carpool riders. Built light rail trains that run on all the freeways, every morning and afternoons freeways in Los angeles county are over congested maximum speed is 10 mph. Is so paintful to see people spend an average of 2 hours on the freeway in the morning and the afternoon. 4 hours every day. I could not agreed any more on the greyhound terminal, Please convince Greyhound to move over to Union Station. Only a part of the funds which Metro receives from tax receipts and other sources are what are called ‘discretionary’ funds that can be used in whatever manner the Board directs. Much of the funding Metro receives is ‘programmed’ or required to be used for specific purposes and can not be spent elsewhere. In this case, the article itself indicates that “The income generated from the deal supports a substantial portion of the station’s purchase price.” Metro expects to make up the difference because “the purchase also presents new opportunities for joint development on the station’s 38 acres, which increases the potential for Metro to generate additional revenues on the developed property.” In the long run this purchase is expected to increase Metro’s funds, not decrease them. When is the mta going to invest as much as $1 in buses that move, as opposed to a $75 million “historic” train station, $45 million in a “transit station” (el monte), and $30 million in a “division 10 maintenance yard”? None of these aforementioned things move people! Buses move people! Why doesn’t the metropolitan transportation agency invest any money into transportaion to move people, not buildings, not transit centers & maintenance yards, but buses that move people? !